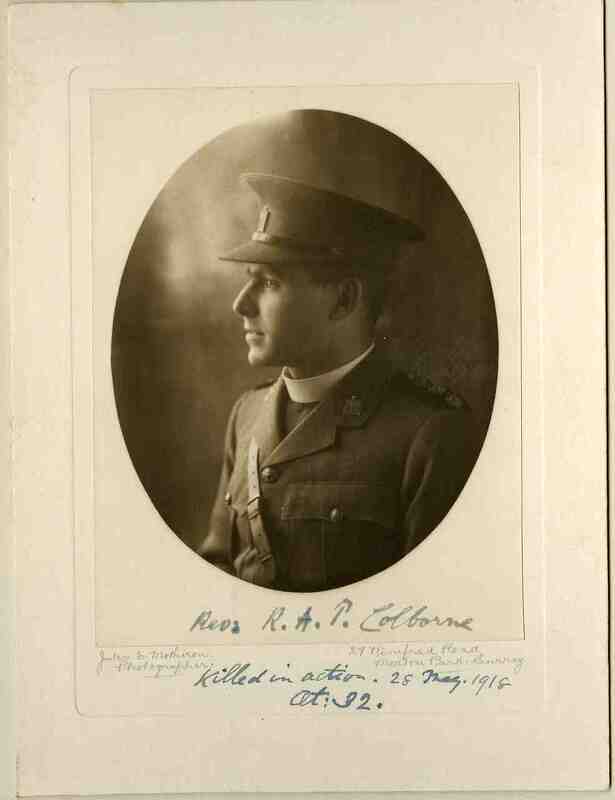 At school, Richard Colborne was an Exhibitioner who won the History and Literature Prizes, was Second Prefect and played for the Football XI. After school, he won an Exhibition to Worcester College, Oxford, and then trained for the priesthood. His first curacy was at Great Gaddesdon , Herts. Then, in 1916, he took up the post of Curate-in-Charge at St John’s Merton. He was called up in 1917. He was second Prefect, a member of the Football XI, and won the Senior Quarter by sheer pluck (and incidentally the Sports’ Cup). On leaving, he went up to Worcester College, and later took work at a Preparatory School at Hemel Hampstead. He was ordained deacon in 1912 and priest in 1913, and worked at Romford, and later at Merton, where he was most popular and greatly esteemed by his parishioners. He was wounded on Jan. 4, and killed in action on May 28 while assisting in bringing in the wounded. His chief described him as “one of the finest chaplains” he had ever had. He was Secretary of the Radleian Society during 1916-7, and brought out the last Year Book. He leaves very many friends who mourn his death. As Secretary of the Radleian Society, he was responsible for scouring the newspapers, writing to families and compiling all the information about Radleians serving during WW1. His meticulous work forms the basis of the War Memorial and of all the records in this Commemoration. 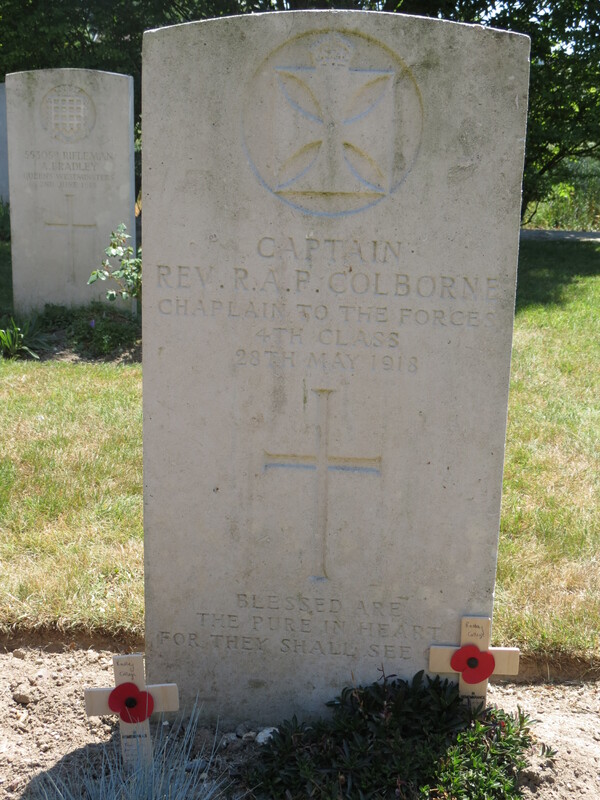 Posted in Commemorating the Fallen of WW1 and tagged Chaplain, E Social, Flanders & France (Western Front), killed in action, Marching in Memory for Combat Stress July 2015 on 28 May, 2018 by archives602.